A range of habitats, including various forest types, rocky areas, shallow borrow pits, sometimes in open fields; mostly in circumneutral soils. 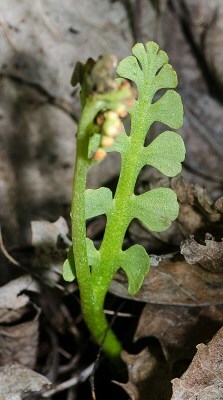 A relatively tall moonwort, more conspicuous than some in its sparsely vegetated habitats. The vegetative blade is narrowly ovate to almost linear in outline. The second pair of pinnae are often reduced or missing. MICHIGAN FLORA ONLINE. A. A. Reznicek, E. G. Voss, & B. S. Walters. February 2011. University of Michigan. Web. 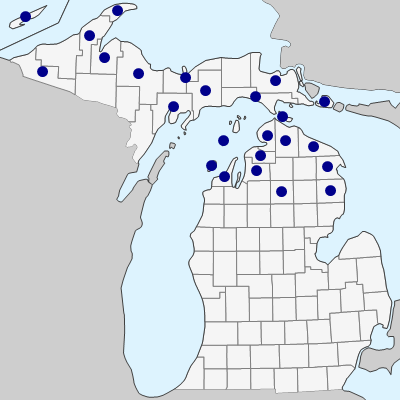 April 21, 2019. https://michiganflora.net/species.aspx?id=1782.